This hotel has been voted 1 of the top 25 hotels in the UK for 3 years running. With highlights such as its tropical beach bar & cosy ski lodge, this carefully styled hotel will delight all year round! The Permanent Collection is a selection of the best high-end properties: luxury hotels, chic boutique hotels and elegant villas ... you will find them year-round on Voyage Privé. If you book accommodation through our Permanent Collection, you will receive a voucher for 5% of the total booking amount, to be redeemed on your next Voyage Privé booking. The prices of the Permanent Collection match the lowest market rates. They are continually being updated, so you won't find them cheaper anywhere else. And to make your stay even more enjoyable, we have negotiated two exclusive perks. Please note: Permanent Collection rates are non-refundable, non-changeable. Come and visit a historical part of London where grand buildings from throughout the centuries sit side-by-side while the rest of London is still at your fingertips. This area is defined by regal Georgian houses that are interlaced with large grass square dotted with famous statues. Its an area that has produced perhaps the UK's best known literary inhabitants, T.S. Elliot & Virginia Woolfe, and a trip down its neatly laid out streets will take you past countless English Heritage Plaques. This leafy part of London is home to many of London's most popular attractions, the jewel in this area's crown is The British Museum which is loved by Londoners and tourists alike, its collection is enormous and you'll be tempted to visit multiple times while the antique shops outside will draw you in with their niche fares. 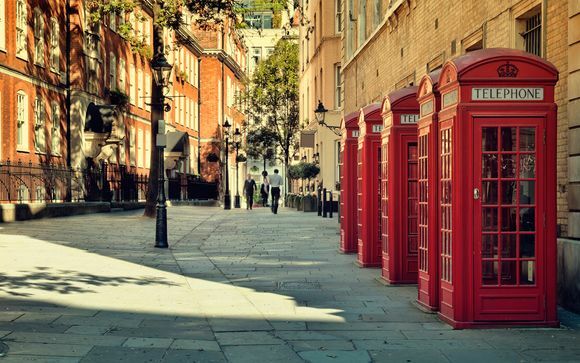 London's famous pub culture is alive & well in this area: chic cafes and characterful pubs serve a thriving community of students, academics, tourists & professionals while trendy restaurants serving a dizzying variety of cuisines line the streets....so set out and explore! 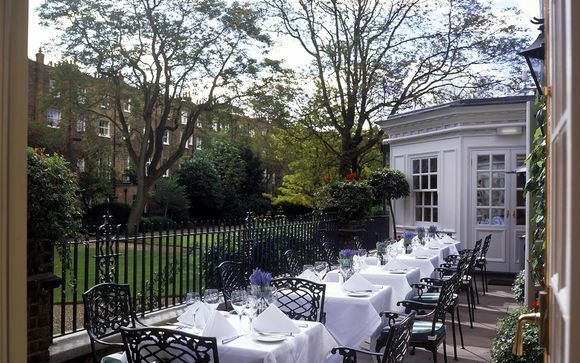 A genteel Georgian townhouse in elegant Bloomsbury, this hotel is a superb example of a London hotel: old-world charm, sophistication & an exceptional location all combine to create this welcoming hotel. All of this is matched by tantalising dishes in the hotel's bistro & bustling specialities bars that have made this hotel a staple for tourists & locals alike. Stylish & casual or bold & elegant, these rooms are a treat for the eyes as much as the body. Each of room has been individually & elegantly designed to create an inviting space to relax after exploring the bustling streets of London. - Classic Single Room (12 m² / max. 1 person): Upon entering this room you'll find the same assured elegance that can be seen throughout the hotel, softened with homely touches such as your own plush bathrobe and mineral water. - Classic Double Room (15 m² / max. 2 persons): These rooms, with their high ceilings and luxurious fabrics, capture the timeless elegance of Bloomsbury and its literary heritage. Each room is individually decorated and furnished with hand-crafted furniture, including original bedheads and mirrors. - Classic King Room (18 m² / max. 2 persons): For more room and even more of The Montague's opulent fabrics and furnishings, choose a beautifully appointed Deluxe King Room. - Suite Junior (31 m² / max. 3 persons or 2 adults): Each high-ceilinged room is individually decorated. As well as sumptuous fabrics and furnishings, these spacious suites include an evening turn-down, iPod docking stations, a nightly delivery of fresh canapés. For every mood and for every time of day, The Montague on the Gardens offers a choice of places to eat, drink, or relax. The Blue Door Bistro - This is find dining in the heart of Bloomsbury. Rich mahogany panelled walls, contemporary style & large glass mirrors create a sophisticated spot to tuck into a superb a la carte menu. The Leopard Lounge - No great hotel is complete without a first-class bar & this is The Montague's. It offers the perfect blend of traditional British elegance & Colonial South African inspired furnishings create a cosy hideaway where you can enjoy expertly mixed cocktails. The Cigar Terrace - With comfortable seating, ample heating & regular cigar tastings, this outdoor terrace is the perfect place to enjoy the finer things in life while looking out over the secluded private gardens of the Bedford Estates. Afternoon Tea - There's nowhere better to savour a delicious traditional Afternoon Tea than The Montague, overlooking peaceful gardens in the heart of London. Garden Grill - Peaceful & secluded, this laid back terrace restaurant overlooks the gardens of Bedford Estate, creating mouth-watering al fresco dining during the summer months. The Beach Bar - Complete with real sand, a beach-hut style thatched roof, coconut and pineapple cocktails, palm trees and more - when the weather's right you'll feel like you're basking in the Bahamas rather than in the heart of central London. 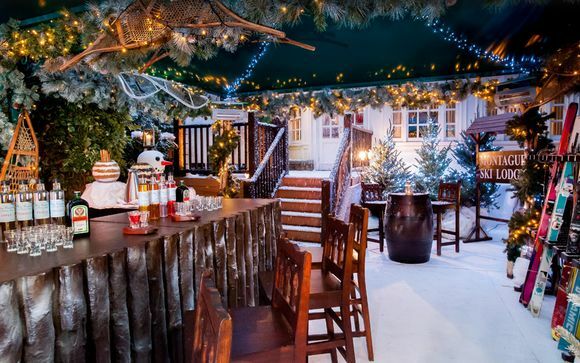 Montague Ski Lodge - Open from Mid November - Mid January this bar is a slice of Apine charm in the heart of London. To help combat the cold and lightly drifting snowflakes, guests can enjoy our delicious candied pecans, mulled wine, winter Pimm's, hot spiced cider, mugs of steaming hot chocolate and big woolly rugs, which will all help to keep you lovely and snug during the long winter nights. Your hotel is approximately 5min / 0.3miles from Russell Square Station which is on the Piccadilly Line or 8min / 0.5miles from Holborn Station which is on the Piccadilly & Central Lines. From these stations you will have direct access to St Paul's Cathedral, Oxford Street & Notting Hill (via the Central Line) & Covent Garden, Trafalgar Square & Harrods (via the Piccadilly Line). This hotel is well within the London Congestion Zone so if you are travelling by car to this hotel between 7am - 6pm Monday - Friday you will be charged a daily fee of £11.50. Please click here for further details. You will receive an email confirming your booking within the next 48 hours.Please check all details on this confirmation are correct. If there are any discrepancies, please notify us as soon as possible. * Opening times of restaurants/bars and amount of city tax are indicative and may be subject to change. Permanent Collection rates are non-refundable, non-changeable.